HourGlass was developed by High-Touch Communications (HTC), one of Canada's leading marketing and technology firms. We deliver results-driven solutions by combining the latest technologies with professional design and marketing know-how. This allows us to meet the needs of our number one priority, our customers, in both English and French. HTC was founded in Toronto in 1982 as a marketing and design firm. In 1984, we moved our main office to Montreal to better serve our clients. HTC has continually evolved and reinvented itself over this time. We are Web pioneers, having embraced the Internet in 1994 and built a bridge between the new medium and the world of traditional design. We were also one of the first to design and develop a fully transactional e-commerce Web site in Canada (Reader's Digest) and have since helped numerous other companies develop or strengthen their brands and establish a powerful and productive presence on the World Wide Web. We also partnered with another group to launch InfoRamp in 1994, one of Toronto's first commercial Internet Service Providers (ISP), and sold it in 1996 to iStar Internet, Canada's first national ISP all the while building our expertise in marrying the worlds of design and Web technology. In 2000 HTC reinvented itself again, this time moving into the development of proprietary Web-based software solutions to power our services. IgnitionWeb (www.IgnitionWeb.com) is the primary focus of this and powers our websites. It provides customers with an easy-to-use Internet Marketing Platform that empowers businesses to Inform, Promote and Transact Online. HTC then developed iTouch (www.itouch.ca) to offer a scaled down non-customized version of IgnitionWeb. HTC's "there has to be a better way" attitude also took on the task of building better productivity tools for creative companies. 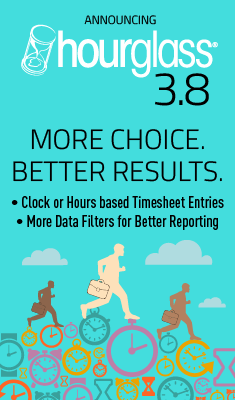 HourGlass (www.hourglass.ca) offers time tracking, project management, reporting and billing, by project, for companies who bill on a time and materials basis. Throughout these changes, HTC has always kept true to its beliefs. We professed the benefits of Integrated Marketing Communications long before it was popular, and have ensured that each Branding + Web solution is executed to achieve both customer satisfaction and our own rigorous standards of superior quality. Our easy-to-use web-based software solutions are the result of this belief.